YouTuber My Mate Vince manages to create a whole swath of crazy projects, but this time they went a little overboard -- in both good and bad ways. 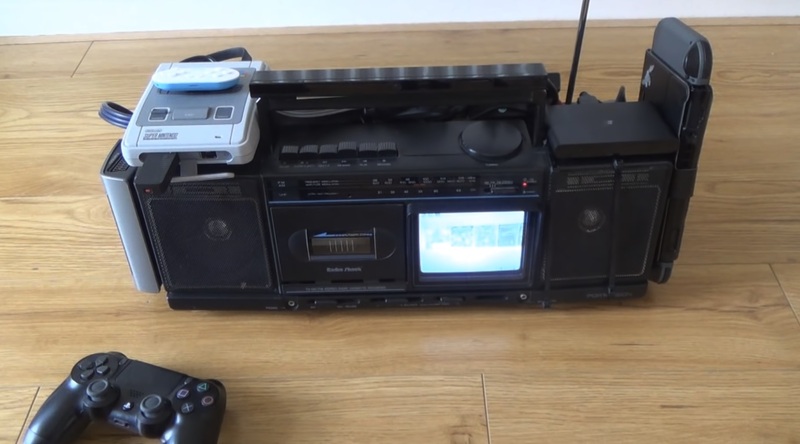 The channel created a gigantic monstrosity of a piece of hardware, hooking up an old Portavision TV into a boombox, which is in turn attached to a working PSTV, Wii Mini, SNES Classic, and Switch. Yes they had to hook up everything to a CRT TV to get this all to work, which involves converters and a whole lot of other basic technical wizardry. The video runs through everything, from how it was made to showing off the working awful quality tiny TV screen. They even try to play a Smash match on it! I think if someone brought this in front of me at a convention and challenged me to a Smash match I'd happily oblige.